The girls are starting to have so much fun together. 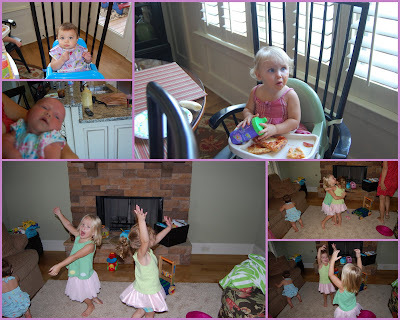 We ate good pizza and Ava and Kate danced and sang while Livy and Zoe watched. Ava and Kate were cracking us up dancing to "Girls Just Wanna Have Fun!" They were so silly, this is such a fun age. Baby Alaina slept the whole time but opened her eyes for a camera shot!